The Llyn Tegid Nebula. That's our next waypoint. Actually looking at the itinerary they gave us, I see a lot of nebulas. I am pretty excited. 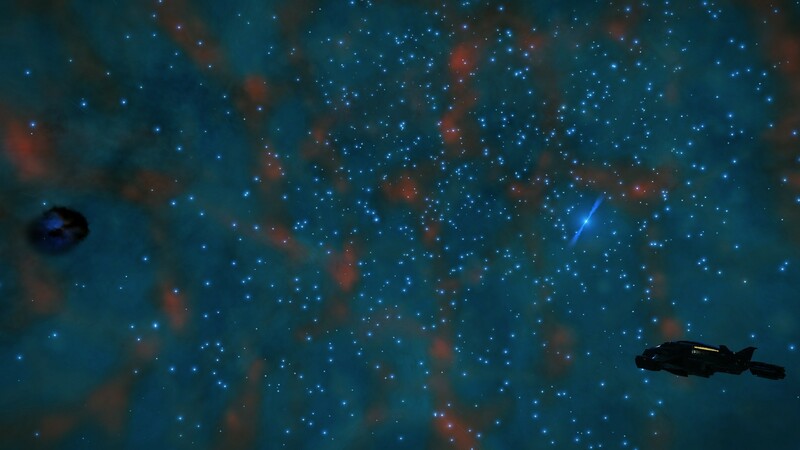 Some nebulas are so beautiful to pass through. It is a nice change of pace from the sheer black of space. Also you can find some cool stuff in there. 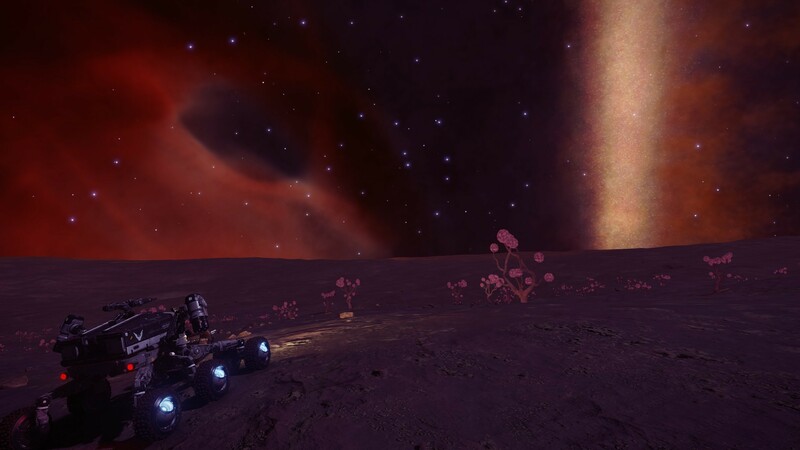 In fact, I am taking this moment to record a log while in the first nebula along our path. Officially it is the Skaude AL-X e1-28 system. It is also known as the Rusty Net Nebula. And I have to say..it is breathtaking. I have never seen such colors in the starscape. The reds and blues... I will have to attach an image. 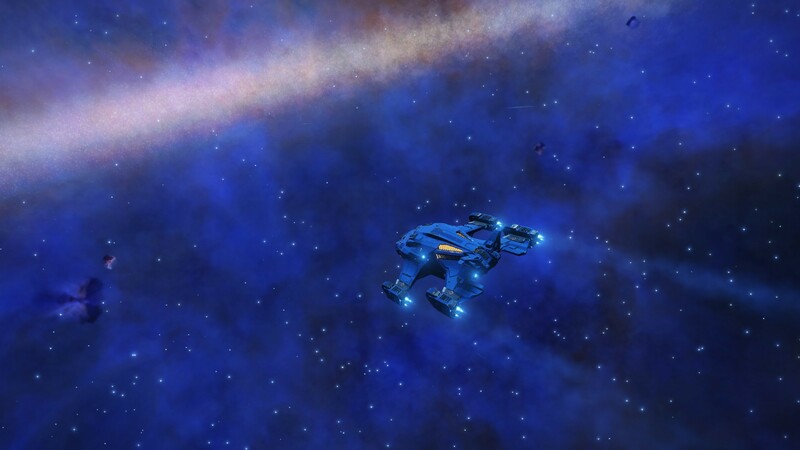 The nebula has a neutron star. I flew over and supercharged my FSD off it, right before I started recording this log. Been awhile since I attempted such a move. Had to fly in and out three times before I got it right. Anyways. The big thing I wanted to mention? My jump range. With the charge it is now over 159! Normally I can only do 39.77. This is awesome! If you don't mind me, I need to go open up the galaxy map and manually plot a super jump. 159, ha! I decided to take a detour and check out one of the optional POIs. It is labeled Ellaisms Remnant. Turned out to be another neutron star inside a nebula. Another amazing sight, though not as colorful as Rusty Net. I will attach images below. I supercharged my FSD again. But this time I thought I'd boost my range even further by injecting some premium jumponium as well. I could not wait to see my range. Instead, I learned the hard way that injections don't work on a supercharged FSD. Dammit. I only have enough for 5 more injections. At some point I need to look for more arsenic. Making my way now to the Collection of Wonders. Then a short trip over to the Skaudai Guardian Ruins. After that I will need to push hard for the waypoint. Think I am cutting this week a bit closer than I should. Well. Currently docked at the Sacaqawea Space Port while I get some maintenance done. I am still another 30+ jumps from the waypoint. And less than 24 hours before they announce the next one. Talk about cutting it close! I made it to the Collection of Wonders. And boy was that jump scary. Seriously. I don't think I've ever jumped to a system where the main star is a freaking black hole! I mean, neutron stars can be scary at first but at least I can see them. The only way you even know a black hole is there is by how it warps space around it. And this one I jumped to warped a huge area of what I could see, far more than I have ever seen a black hole do. The system itself was fascinating. Several types of stars, most with rings and planets, all trapped between two black holes. I don't think I've ever seen an M-class star with a ring. I would highly recommend checking out this system. Officially it is Skaude AA-A h294. After that I made my way to the Guardian ruins at Skaudai AM-B d14-138. It was the first time I had explored any Guardian ruins. So I don't know how these compare to others found. But I found them quite interesting. 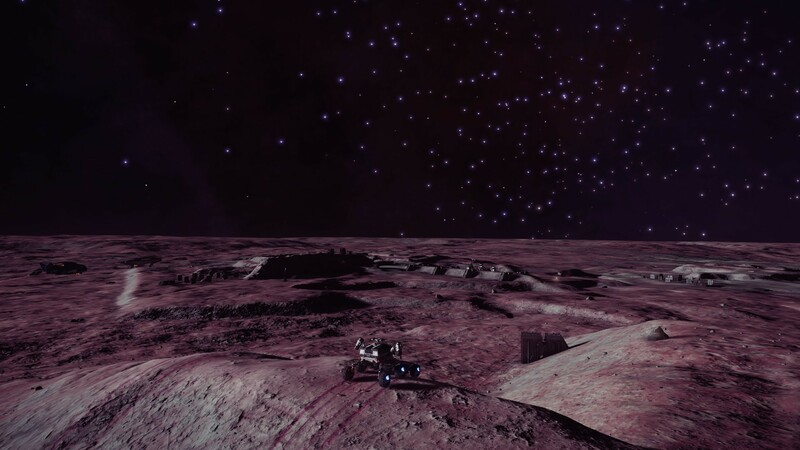 Hopped into my SRV and just drove around, checking out the various structures. Another commander showed up while I was down there, and we had a good time riding around together. Glad I stopped to see the ruins. Oh. While I was in that system, I came across a new biological anomaly. Well, new to me; I am sure somebody else has catalogued them by now. The Codex has them listed as "Roseum Brain Trees." I think that now makes eleven different biological anomalies I have confirmed. That is pretty sweet, given that I had found zero prior to this expedition. And I am sure it won't be the last. Alright. Well, time to send these logs off. Then I have to submit my weekly TGMS report. And hopefully get to the waypoint before the expedition moves on. Until next time.